You are not running scripts and may miss some features. The Eastern Geographic Science Center (EGSC) informs decision-makers of the impact of landscape change. EGSC scientists develop and apply the data, process understanding and Web-based tools necessary to holistically evaluate and forecast impacts that land use and land cover changes have had and could have on natural resources and environmental health and well-being. EGSC Geographers John Wolf and Andy Fitch played key roles in the development of a new “Story Map” highlighting the environmental success story of how the Chesapeake Bay has benefited from regulations put in place as a result of the Clean Air Act. Wolf and Fitch collaborated with Environmental Systems Research Institute application developers to create the web site based on input from the U.S. Environmental Protection Agency subject matter experts. The project was a collaborative effort among USGS – Eastern Geographic Science Center geographers and EPA subject matter experts at the Chesapeake Bay Program, the U.S. Environmental Protection Agency Region 3 Air Protection Division, and others. Visit this interesting story map. What are stormwater Best Management Practices? Can Best Management Practices help protect streams in developed landscapes? Why does urban stormwater cause problems in streams and the Chesapeake Bay? With a focus east of the Mississippi River, our research staff applies expertise in geography, remote sensing, geology, biology, and computer science to better understand our land. 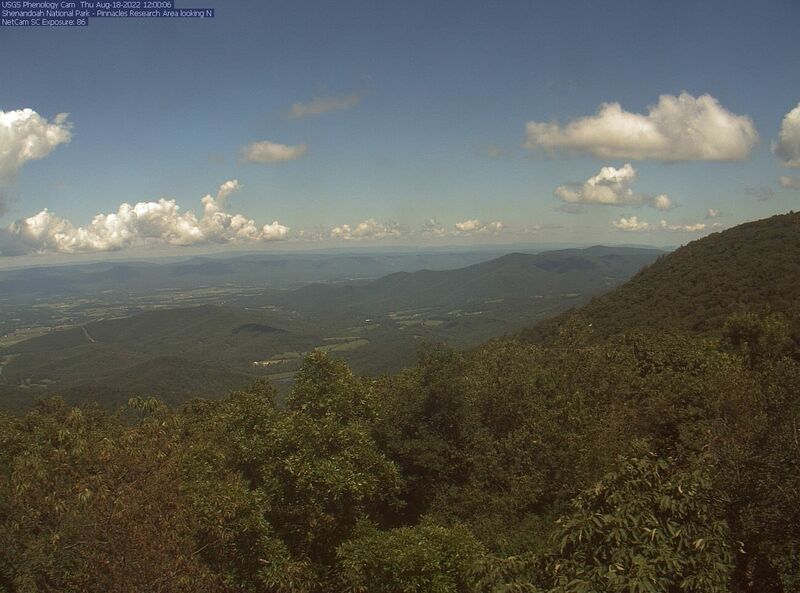 Live view of the Shenandoah!! This webcam is updated every 30 minutes 10am to 4:30pm.